Using business as a force for good turns out to be good business in more ways than one. In addition to the social or environmental impact that purpose-driven businesses create, they attract customers and employees, especially among millennials. 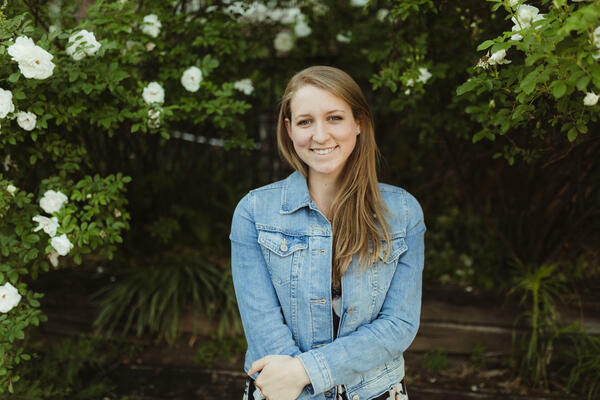 In this blog post, a millennial member of Prosper for Purpose takes a look at the research and adds her own perspective. From a company perspective, it used to be that success was determined by profit maximization or market share. But now, we consider great companies to be those that own their role in the greater human story, both internally and externally. We want to see companies operate responsibly and ethically, take ownership of their environmental impact, and put their stakeholders first instead of just their shareholders. Purpose-driven companies do well by doing good. This stakeholder-first standpoint is transforming our concept of company success, especially now that purpose-driven companies are outperforming their more traditional, profit-focused competitors. When companies have a bigger “why” at the core of their business, we see stronger supplier and investor relations, market differentiation, customer engagement, and employee recruitment, motivation and retention. These organizations are especially attractive to millennials, who are now the largest generation in the workforce. In 2020, this group will make up 50% of the employees in the United States. And millennials — myself included — have some new ideas about what the ideal job looks like. Having recently graduated from college, these numbers don’t surprise me. My peers and I brought the ideas of social entrepreneurship and sustainable business into the classroom just as often as our professors did, if not more. We interned with impactful companies and organized workshops to hear from thought leaders, innovators and impact investors about developing solutions to “worthy problems” like climate change or access to education. After 16 years of studying complex global issues, we’re looking for the companies that are using their profits to take action. As we graduate and enter the workforce, we expect to be able to partner with the organizations we work for in pursuit of solutions to one or more of those problems. And as consumers, our loyalties lie with brands that demonstrate a vested interest in social good and sustainability. This is why purpose-driven organizations attract young talent. It’s not just that we’d like to make a difference; we actually expect it of ourselves and others. We have been watching the world change while being told by teachers and parents that we are the generation that gets to “fix it” — “it” being the environment, climate change, social injustice, etc. This is why I see my career as more than an opportunity for financial stability. The average person spends about one third of their life working (approximately 90,000 hours, or the amount of time it would take to drive across the United States over 2,000 times). I'd like to make my 90,000 hours as impactful as possible. We can look at the last year or so of my life as an example of this “meaning-first” mindset. When I moved to Cleveland after college, my first priority was to look in the B Corporation directory for a list of local purpose-driven organizations. While this may seem backwards, finding an organization that was doing something worthwhile was more important to me than whether or not they were hiring. In fact, Prosper for Purpose wasn’t hiring when I first applied, but I continued to build relationships with the team until the right position became available. I could have started my job hunt by applying for open positions at any Cleveland company, but I wanted to join a team that shared my values. I needed proof of the mission at work, and Prosper’s B Corp status, Impact Report, 12 Months of Giving program, and case studies provided that evidence. Our definitions of success are evolving to include social and environmental impact as well as personal fulfillment. The triple-bottom line is outpacing the traditional bottom line, and young professionals are paying attention to the companies that are both competitive AND conscious.